Bono has written a new song for Willie Nelson to sing on the soundtrack of Waiting for the Miracle to Come. A post on the film website for suggested that Bono and Willie Nelson had come together to work on this new song for the film, and it confirms that Bono has written the closing song, “Where the Shadows Fall” for the film. We have since confirmed that Bono has written just one song, and will perform backing vocals on that track for the film, and not a second song as we originally thought. “Where the Shadows Fall” was also mentioned in the February 2016 issue of Q magazine as a song title that Bono discussed while talking about the Songs of Experience album from U2. 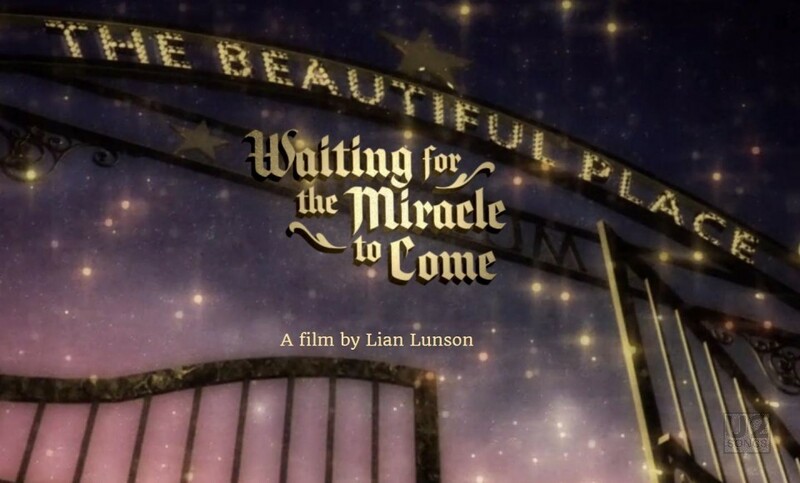 The film Waiting for the Miracle to Come is directed by Lian Lunson, and is being executive produced by Bono and Wim Wenders. Set in a magically surreal world, WAITING FOR THE MIRACLE TO COME tells the story of a young woman whose quest for gold takes her on a far more rewarding journey than she could have ever imagined. As she gets to know this mysteriously eccentric couple, Adeline discovers that her father’s posthumous words were directing her to a reward far more valuable than gold. Her long time collaborators Wim Wenders and Bono are teaming up to Executive Produce to help bring her vision to the screen. The movie began filming in February 2015 at Willie Nelson’s private ranch in Spicewood, Texas and has now been completed. A release date has yet to be announced but it is expected in 2016. Lunson in a statement about the film said, ““I wrote this script for Willie Nelson. His presence and stillness as an actor is unlike anyone else. And growing up, I always wanted to be Charlotte Rampling, so bringing these two icons together on-screen is a dream come true for me.” Initial reports in 2015 only reported that there was a song penned by Bono that would be performed by Bono. If the names sound familiar they should, Lunson, Wenders, and Nelson have all worked with U2 and Bono in the past. Wenders of course has been a long time collaborator with the band, since he shot the promotional video for “Night + Day” in 1990 for the Red, Hot and Blue album. U2 have contributed to many of Wenders soundtracks since that time, appearing on the soundtrack for Until the End of the World, Faraway, So Close!, The End of Violence, Beyond the Clouds, and Don’t Come Knocking. It was Wenders that directed the script that Bono wrote for the film The Million Dollar Hotel. Below we have the video that Lunson shared from her 1997 documentary Willie Nelson: Down Home featuring Bono and Willie Nelson. Many thanks to David for reminding us of this and bringing the new information to our attention.